It feels like the 1980s again. Synthpop is in and electronica is everywhere. With the success of Chvrches, Icona Pop and Bastille's Pompeii, there are synthesizers, electronic drum kits and vocal effects flooding the music scene. The biggest challenge for new bands embracing this style is what to do about the human element. If machines are doing all the work, sometimes the vocals simply aren't enough personality to keep things interesting. Thankfully, Little Daylight has the musical chops, the creativity and the enthusiasm to make Hello Memory one of the best debuts of the year. Over the course of 40 minutes, the Brooklyn trio brings a boundless amount of energy and joy. They sound absolutely thrilled just to be making music and it's impossible to not get excited along with them. Their warm exhilaration is focused into tight, memorable melodies, built with physical and digital tools. In a just world, Overdose would be the song of the summer. The seesaw main synth line will get stuck in your head for days and you'll actually be disappointed when it eventually leaves. Throw in some thunderous drumming and Nikki Taylor's smooth singing to complete the inspired package. Nothing To Lose is a similar highlight, racing at highway speeds, but using controlled vocals as a counterweight. Taylor can also cut loose when she wants to, such as on Mona Lisa, with an ecstatic performance over a choppy guitar pattern in the chorus. Little Daylight can do more than just electronic anthems, though. Love Stories finds a way to mute its powerful percussion without losing its presence entirely, creating a synth-ridden torch song, perfect for long walks alone at night. Be Long has nice touches of guitar that support the synths rather than dominating the landscape. Even as the record reaches its second half, it keeps moving in fresh directions. No One Else But You features Atlas Genius for a lovers' duet. Particularly in the chorus, his voice adds a harmony that had previously been impossible with only one vocalist. The xylophone intro is pretty sweet, too. If you like synthpop, or hell, if you just like good music, Hello Memory is worth picking up. 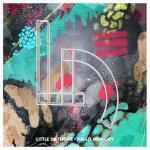 Little Daylight's debut is a strong statement of joyful intent. You can't help but crack a smile when turning their songs up. Studies have shown that experiencing daylight is good for your health. One listen to this album will prove that Little Daylight is, too.